Carver's 32 Aft Cabin offers more comfort and livability than any other boat in its class. Enjoy the luxury of two private staterooms, two heads, shower stall, a cozy salon with a convertible sleeper sofa and a hi-low table. Many extras and upgrades, including a propane stove and oven. No need for a generator for cooking while at anchor! 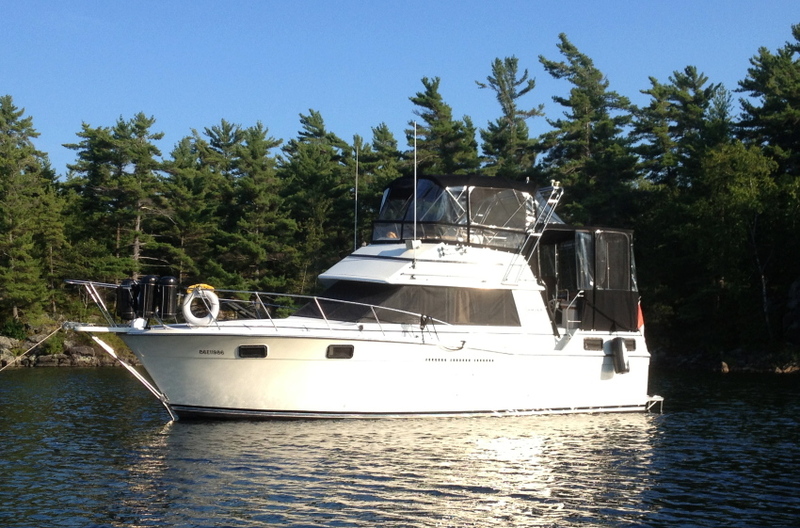 This 32 Carver Aft Cabin is an exceptionally clean, well maintained boat, tastefully decorated in light neutral tones. An absolute pleasure to show! Owner will consider a trade for a similar size express style cruiser.